Search engine optimization (SEO) isn’t just something that might be good to implement on your healthcare website. It’s something that’s crucial to implement if you want people to find you easily, or perhaps even find you at all. Combine heavy competition in the medical software arena with all the general online noise, and your company can rapidly get lost somewhere on page three of Google search results. 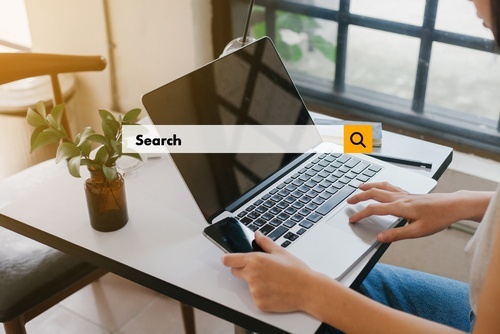 Implement a medical SEO strategy and you can instead enjoy higher search rankings and increased website traffic, which can result in a boost in leads and your overall business. A number of medical SEO best practices can help get you started. Medical SEO starts with keywords, but it certainly doesn’t end there. Check out seven different ways you can improve your software website’s SEO. Create a list of keywords and phrases people would be likely to enter when searching for your medical software. Then head to Google’s Keyword Planner to see which keywords and phrases have a notable amount of monthly search traffic, but low competition from other sites. Aim for phrases that have at least 200 but no more than 10,000 monthly searches. Once your list is ready for action, start placing the keywords where they would naturally appear on web pages and other content throughout your website. Including a site map on your healthcare website ensures search engines can index your site properly. Site maps give search engines a blueprint of your site’s layout and connections. While you can create one yourself, a number of online site map tools that adhere to Google’s site map guidelines are available to make it easier. Original content is one of the most important aspects of medical SEO. It provides valuable information, drives traffic to your site and positions you as an expert in the medical software field. Create content that educates visitors about your services and answers common questions they tend to ask. In addition to blog posts, content can include videos, testimonials, white papers, case studies, infographics, interviews and research articles. Social media can help start conversations, build relationships and increase traffic to your healthcare website. It can be incredibly helpful for reaching a massive audience you may have otherwise been unable to reach. Social media can also play a role in your search engine rankings, especially if a page is shared by numerous users. LinkedIn can be particularly valuable for B2B medical software companies for its ability to reach a wide range of professionals and connect with company decision makers. Make sure the design of your healthcare website not only provides a positive UX, but that it also matches the style and personality of your brand. Your healthcare website’s conversion rate gauges the rate at which visitors take any type of desired action, such as fill out a form or purchase a medical software subscription. Conversion rate optimization (CRO) aids in increasing that rate, which can ultimately increase your ROI. Take a look at your current conversion rate and pinpoint areas that could be improved. One CRO best practice is to ensure your site presents the simplest path to complete a conversion. This could include removing unnecessary steps for downloading an e-book, or moving your CTA to a more prominent and popular page. While some of the medical SEO practices may seem rather minor, they can bring on major results. When taken together and regularly reviewed, your website can consistently bring in more traffic, leads, conversions and loyal customers.